October 24, 2014 February 10, 2016 ~ Sara W.
As many of you know, I previously contributed once a month on Over the Big Moon. The post below was originally posted on their site on Fathers Day of this year. I thought I would include it here today, as it is more about our role as teachers in our children’s lives than it is about dads alone. Enjoy! 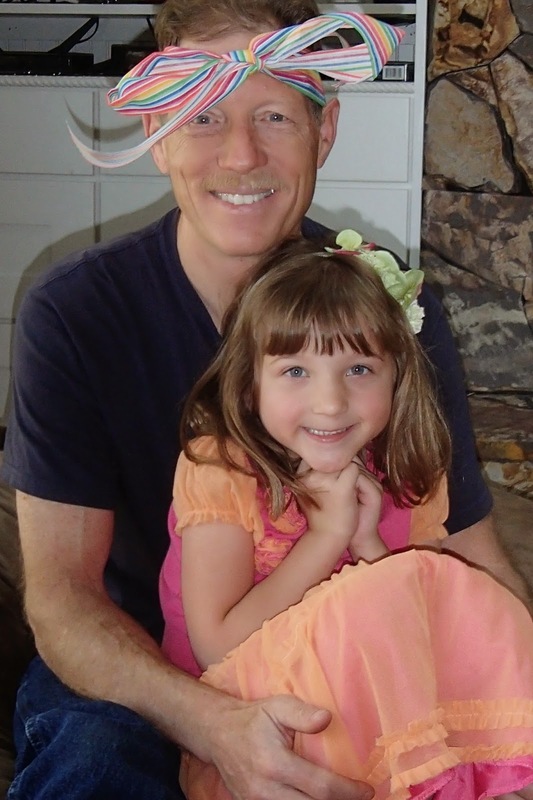 In honor of Father’s Day, I thought I would write about an attribute of my own dad’s that I have come to appreciate. You’ll notice, based on my wording, that I did not always appreciate this aspect of my dad. It took me years to understand this, once very frustrating, characteristic of his. Allow me to explain. As frustrating as it was as a youth, I grew to appreciate that my dad would not give me the answer. He helped me to study it out in my mind. This method not only taught me how to be a more careful decision maker, but it also taught me how to have trust in myself. My dad was teaching me the old adage, “Give a man a fish and you feed him for a day; teach a man to fish and you feed him for a lifetime.” Except for he was teaching me how to be a fisherman of knowledge and truth. Being a woman of faith, I should add that I have always used prayer in conjunction with my dad’s technique of weighing all the pros and cons. This combination has proven invaluable in bringing me to a place in my life where I now trust myself to make the responsible decision. And, for those times when I am unsure of all the pros and cons, guess who I still go to for advice even though I know he still won’t give me the answer? My dad. Now the challenge is being that same great teacher for my own children. Unfortunately, my natural tendency is to do for my kids those things which they need or want done, merely because it feels easier and quicker than teaching them. It’s not the right thing to do, but it’s my default setting. I can already see the rising frustration in my second daughter when I do remember to follow my dad’s ways. This past week was a perfect example. My daughter was making a card for a friend of mine who just had a baby. She wanted to write a story on the card as well. My daughter’s spelling is applicable to her Kindergarten age, but that was not sufficient for her. She wanted so badly for the card to be just right so she asked me to spell out every word she did not know. I started to help and quickly realized that my role as spelling specialist would not help her in her efforts to learn for herself. I wanted to see what she could do and accomplish all on her own. Having her do it all by herself afforded she and I new opportunities to grow and learn. I was able to see where she currently stands with her spelling (and her speech since kids tend to spell it how they hear it) and she provided me with the opportunity to “show [her] where to look, but [not] tell [her] what to see.” In this particular case, I helped show her where to look by sounding out words with her, but she had to figure out the results for herself. 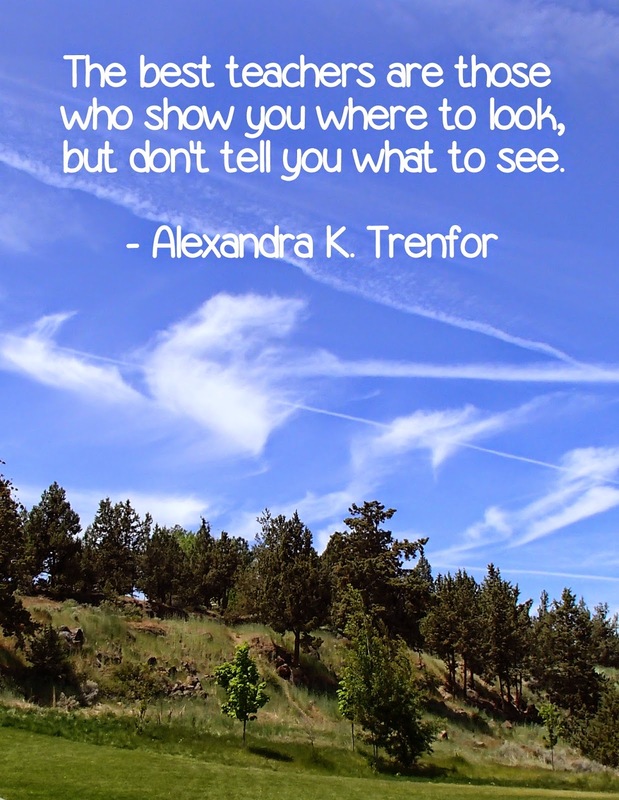 I think Trenfor’s quote is even greater if we consider the fact that what my dad was showing me and what I was showing my daughter is that we can look within ourselves for the answers. By following this teaching plan, we give our children ownership of their actions and confidence in themselves. What a wonderful attribute that we have the opportunity to pass on to our children than that of a healthy confidence. A confidence that they can make responsible decisions, that they can see art work through their own eyes, that they can cut an orange their preferred way, that they can learn to find deeper meaning in the simple daily tasks because they have been taught to think for themselves. These are the things I hope to teach my children, as my own father taught me. I want to be one of the best teachers I can be for my children. Thankfully, I know the way to go about doing that. I will focus on teaching my children where to look, but not telling them what to see. The greatest challenge in making that possible, for me, is learning to let go. However, realizing how far my dad’s teaching tactics have brought me in life makes me that much more excited to see how my children will bloom in a similar manner.